As a teen, Brian Rathbone had a hunger for Young Adult Fantasy and Epic Fantasy that could not be satisfied. He would hide out in his secret reading place for weeks and perch on his choice of straw bale thrones. It was a spiritual and sometimes emotional journey filled with thieves, wizards and dragons. Years later, he channeled that passion to create The World of Godsland YA fantasy series, which also includes multiple free young adult books. Call of the Herald, the series starter, is one such Kindle freebie. Rathbone gives away many of his Young Adult books for free in order to let readers sample his work at no risk to them and so those without a large reading budget can enjoy an epic adventure. Brian's books are inspired by many of his favorite tales from JRR Tolkien, CS Lewis, JK Rowling and George R R Martin. 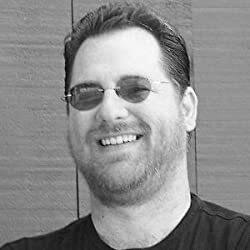 His journey as an independent author has largely been influenced by writers like Joseph Lallo, Scott Sigler, MR Mathias, Jeff Wheeler and Nathan Lowell. Please enter your email address and click the Follow button to follow Brian Rathbone! In this short story, Vincent Pels struggles to save his daughter in life and death. A Bedtime Story for Kids Sometimes the silliest dragon gets in trouble. Looking for a fun bedtime story filled with silliness and love to share with your kids? The Silliest Dragon has a message for you.